In Ireland, the country with the beautiful landscape, most people are in touch with nature throughout their lives even if they don't live in a rural area. The way of living may account for the fact that the Irish people have a long tradition of appreciation of poetry and respect for poets. However the history of haiku on this island goes back only a few decades, so the development of the genre started relatively late. Around 1969 – 1970, Patrick Kavanagh wrote a single haiku, evidently not even suspecting that it was a haiku – and a worthy one! This piece appeared in The Lace Curtain magazine in 1971. We restore here the original version of the poem that was slightly altered in the magazine, so the first line became the title. 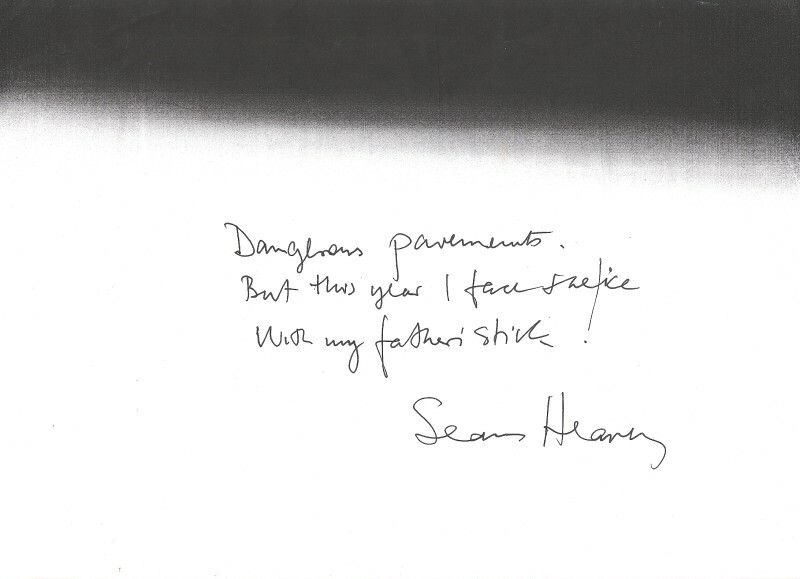 The 1990s witnessed more experiments in Irish haiku writing. Most of the newly written poems were free-form haiku, even though a few poets, notably Tony Curtis and Tom O’Malley, chose to write according to the 5-7-5 form abandoned by most of contemporary English-language haijin (haiku poets). Then the era of the Internet started. Haiku poets found new platforms for creative exchanges. We should mention the strong presence of Irish poets on haiku forums, like Shiki Internet Haiku Salon, rather popular in the late 1990s, and the ever helpful World Kigo Database, where the Irish expat poet Isabelle Prondzynski has been a regular contributor. David Burleigh translated Japanese haiku into English, and his translations were later anthologised. The first haiku magazine on the island of Ireland, Haiku Spirit, was founded in 1995 by James Norton. It was a paper-based journal of haiku and related forms that published Irish and international haiku poets. All in all, twenty issues of Haiku Spirit appeared between 1995 and 2000. James Norton remained the sole editor until 1997 when Sean O'Connor joined him as co-editor. Quoting the English haiku poet and editor John Barlow, “borne of the Zen sensibilities of the editors, Haiku Spirit not only greatly raised awareness of haiku in Ireland and of Irish haiku internationally – not least in publishing international poets alongside Irish poets.” Its demise left a void that has only been filled in recent years. Another Irish haiku magazine called Lishanu (http://www.lishanu.com) published its first online issue in 2005; the second followed in 2011. 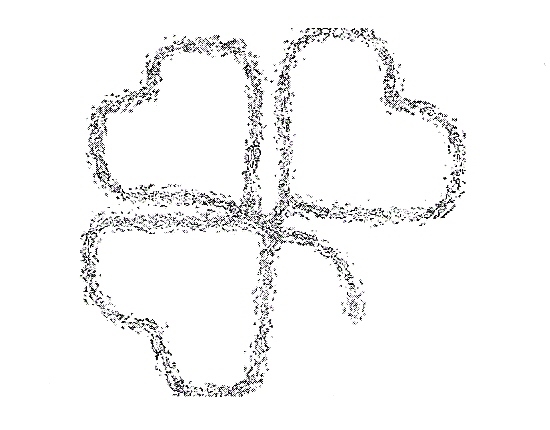 Shamrock (http://www.shamrockhaiku.webs.com), the international online magazine of the Irish Haiku Society, was founded in January 2007 as a quarterly, and has since been publishing thematic issues focusing on the haiku movements in various countries, as well as Irish and international haiku, haibun (short prose with haiku mixed in), essays and book reviews. Unfortunately, Ireland hasn’t yet developed a culture of haiku blogging in the same way some other English-speaking countries did. The Irish haiku blogs we have seen are devoid of quality writing and display next to no knowledge of the history and artistry of the genre. One of them, ridiculously calling itself a haiku magazine, states that it ‘welcomes pseudohaiku as a poem in progress’! This highlights the importance of haiku education conducted by organised groups of haiku poets. There are currently two associations of haijin on the island of Ireland: Haiku Ireland (http://www.haiku-ireland.com) founded in 2004 and launched in 2005, and the Irish Haiku Society (http://www.irishhaiku.webs.com) founded in September 2006. As things stand today, Haiku Ireland, according to their website, has thirty-three Irish poets as members, whereas the Irish Haiku Society has seventy-two. A few of the Irish haiku poets have chosen to join the British Haiku Society. Quite a number of Irish haijin are regular contributors to major international haiku magazines and anthologies; some of them have won haiku accolades in various countries, including Japan, USA, Canada, Croatia, Romania, Italy and, of course, Ireland. Both societies conduct workshops and haiku excursions (ginko), organise haiku readings and book launches; their websites offer information about forthcoming haiku events and have haiku guidelines for aspiring haiku poets. The Irish Haiku Society (IHS) also holds the annual International Haiku Competition, which has become popular not only among the Irish haijin but also among the international masters of the genre. Those who appreciate short-form poetry can’t avoid raising the question if there is a distinguishable “Irishness” about haiku written by Irish authors. Indeed, should we speak of an Irish haiku tradition? One can argue that the concerns of haiku writers and the poetic devices they choose to use are similar all over the world, and have been since the times of Basho. This doesn’t prevent us from customarily defining such schools of haiku writing as Japanese, American, Australian, English, French, or – dare we say it? – Celtic. And it isn’t the local subject but rather the poetic traditions of the locality that matter. This determines the way the poets work with the material, not to mention that the material itself may vary a lot, as the nature can be strikingly different in various parts of the world. Despite the variety of English-language haiku being written in Ireland, the Irish haiku movement is much closer to the Celtic stream than to the English one, or simply should be regarded as a part of the former. E.g. the Irish haijin often use indirect metaphors, which is rather typical of Celtic haiku – and of Japanese, of course. Irish haiku appear more or less periodically in mainstream Irish poetry magazines, such as Poetry Ireland Review, Cyphers and The SHOp. Sometimes they find their way onto the pages of international haiku anthologies, e.g. red moon anthologies and The New Haiku edited by John Barlow and Martin Lucas. The anthology titled Bamboo Dreams and edited by Anatoly Kudryavitsky (Doghouse Books, 2012) was the first ever Irish national anthology of haiku poetry. It featured work by seventy-seven authors who had contributed to the development of haiku on the Emerald Isle. Reflecting the recent rise of haiku popularity in our country, that book offered not a compilation of poems ‘about’ Ireland but rather the most evocative haiku written by poets born or residing here. Not every poet who practised the genre in this country was included, let alone visitors and short-term residents, however the editor’s aim was to make that anthology inclusive. He also found room for a few haiku by Irish mainstream poets, as long as their texts were convincing. With each passing month, more quality haiku are being written in Ireland, so we can foresee more haiku books and anthologies getting onto the shelves of the Irish book-shops in the not-so-distant future. Both haiku from Eternity Smith and other poems, publ. by Dolmen Press, 1985. The legendary Juanita Casey, a travelling woman and a powerful poet, was probably the first in Ireland to write haiku as we know them. She started composing them in the 1960s, and a few of them appeared in her 1968 collection. She kept writing them for quite a number of years. Rumour has it that she has written more than appeared in her collections. Patrick Kavanagh, one of the most powerful Irish poets, probably didn't know that he wrote a haiku, and an excellent one! We found it in an old Irish magazine. a seagull and a jackdaw. Publication of these haiku from the Inchicore Haiku sequence on our website is our tribute to Michael Hartnett, the wonderful poet who was one of the first in Ireland to pay attention to this genre. "Inchicore Haiku" was published in book-form in 1985, so Hartnett was the first Irish poet to publish a collection of his haiku/senryu.